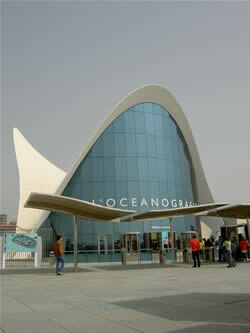 It has never been a better moment to visit Valencia, Spain, symbol of the Mediterranean Sea, sun and fun! Valencia has become one of the most attractive worldwide destinations in the last few years having been visited by many renowned reporters, journalists and their photographers to later be published in the most prestigious travel magazines and guides all over the world. 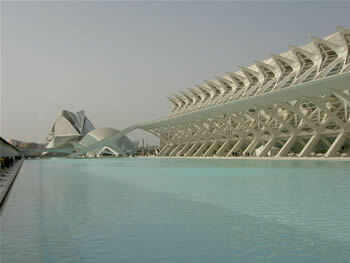 Some have called Valencia a ‘gateway to anyone’s dreams’ or ‘ a destination with design’. So, what are you waiting for? 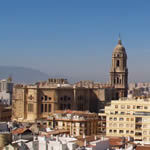 Let’s get started on your Valencia tour and learn all about this fabulous city. 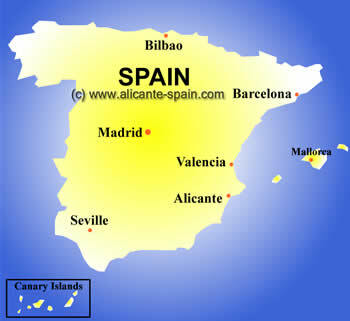 When reading the articles about Spain and Valencia from well-known magazines, their attention and praises firstly mention the newly made City of the Arts and Sciences, the America’s Cup Port Park, the old quarters called Barrio del Carmen, the gastronomy, especially the paella and wine and one of the most varied and busy nightlife scenes around. Located in the old river bank of Valencia on the Avda. Autopista del Saler ( the highway coming in from the south beaches called Saler) is one of the newest attractions most remarkably known for its very modern architecture which is called the City of the Arts and Sciences or as I call it ‘ the techno-palaces. The Oceanographic – which shows over 45,000 samples of 500 distinct specimens of under the deep blue aquatic life with sharks swimming over your head as you pass under a special arched tank. Walk among lakes and lagoons and visit the funny penguins and cool off at the same time! The valencian Museum of the Sciences Prince Philip – this is quite different from other science museums in Spain because it is interactive. Yes, you are cheerfully invited to join in on the experiments. On the bottom floor you can be lifted 15 metres in a helium balloon, on the first there are emblematic representations in large size such as a time pendulum and the DNA ladder. You can participate in simple sports experiments and do basic science with optical illusions, mechanics and electromagnetism. The second is a visit back in time to get to know the first Nobel prize winners in Medicine. And the fourth, which is my favourite, explains to us how life got started and what our future can be with all this new technology. The Hemispheric there are three parts in one at the Planetarium you can see nature from all over the world without having to travel, the Laser show where lights and ray beams dance magically before your eyes and on the gigantic screen to watch fascinating documentaries and it seems as though you are part of it. The Queen Sophia Palace of Arts. In October 2005, Queen Sophia, a great music lover of all kinds personally inaugurated this magnificent music palace. The greatest opera singers, orchestras, dance group and musicians will fill your hearts with their talent in any of the above mentioned arts. Can’t wait to try it out! 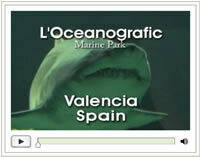 Like the title says, Valencia Spain has undergone surgery and has come up with a whole new “face”. Thanks to having being elected for the 2007 America’s Cup Competition, the port area now has so much to offer; it has been changed into a busy “Free Time” centre for everyone, whether you like the sea or not. The Museum – where you have audiovisual aids where you can discover how the event got started, the protagonists and the characteristics of what goes on. The Gigantic Screen – its found in the centre of the park and you can see the sailing competitions live and any other news that is going on. Once the 2007 competitions has been celebrated, this screen can re-live the exciting moments that will have made history in the Mediterranean Sea of Valencia. Remote Control Boat Pool – everyone has always dreamed of having either a remote controlled car, airplane or boat. Well, here is your chance to show who the captain is and face the wide open blue sea in this 150 meter pool. ‘Grinder’ Endesa – Here you can use the simulator that raises and lowers the powerful sails, imitating the crew hard at work. ‘Electric Visits’ Endesa – Go “on board” an electric scooter type water vehicle and take a spin around the whole port area. Interactive Games – different interactive games for the both the young and not so young having to do with water strategy and games. ‘Fountains’ Aquabona – areas where the younger can get wet and play and the not so young can too! Exhibitions of photographs and model boats – the best photographs of all the 32nd America’s Cup lining the canal as you breath in the fresh sea air and models of all of the sailboats that have won this competition. Shopping in Valencia – three different shops where you can stroll around and take back a souvenir to all your seafaring friends. Restaurants – the main terminal from where the regular ferries sail from has a very good restaurant with typical and international dishes. In order to be able to see a little of everything and not have to worry about driving around on your own, having to pay expensive taxi fares or getting lost on the local buses, I would definitely recommend this bus. It is the most complete, interesting and multilingual tour available. It is a modern two-storey bus, the top not having a roof and from where you can take in the views of this ever changing and surprising city. It costs about 12 euros and can be used all day long. You can catch it at five different points: three in the center of the city and two around the City of the Arts and Sciences. You can get on and off and will be able to see places such as: The Serranos Towers built in the 14th century and the Quart Towers built in the 15th century, both having been the gateway to the once walled in city. The Central market with its Spanish delicacies and the Lonja or Exchange Market (15th c,) right in front. The Town Hall and the Post Office buildings ( recently renovated) in the centre of the city are architectural delights. The Palace of Dos Aguas with its twisting alabaster columns welcoming you into the world of Valencian ceramics. Every city and town has their Bullring along with some museums like the IVAM ( Valencian Institute of Modern Art ) or the Fallas Museum. Of course, the City of Arts and Sciences is on the route. The best place to get on from my point of view is at the Plaza de la Reina. Its first bus leaves at 10:30 a.m. and goes until about 10:00 p.m. For another days tour, you can get the Albufera Bus Touristic which takes you on a two hour tour to a freshwater lagoon where you can enjoy a ride in the local flat bottom boats and over 90 different species of migrating and local birds. If you go in the later afternoon, I guarantee a beautiful sunset. 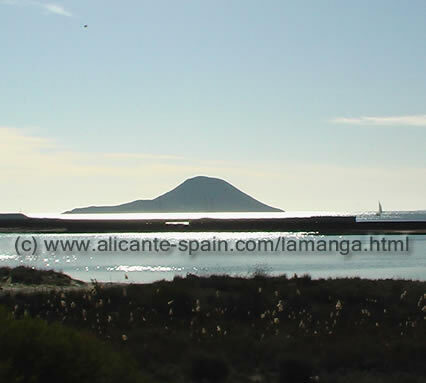 The towns called El Perellonet and the Palmar are known for their paella, seafood and stewed eels caught in the Albufera.